Nicaragua, land of volcanoes, lakes, coffee and waves. A destination that boasts “safest country in Central America” when not too long ago most Americans would’ve never considered vacationing here. Fortunately a lot has changed for Nica (as it’s affectionately known) over the years. And a lot hasn’t. The enchanting landscape you’ll find here today is the same you would’ve found 35 years ago. But there’s luxury being flaunted about in Nicaragua to attract celebrities, real estate investors (or speculators), and the massive American travel market. It’s a land rich with culture, history and plenty of contrasts to boot. 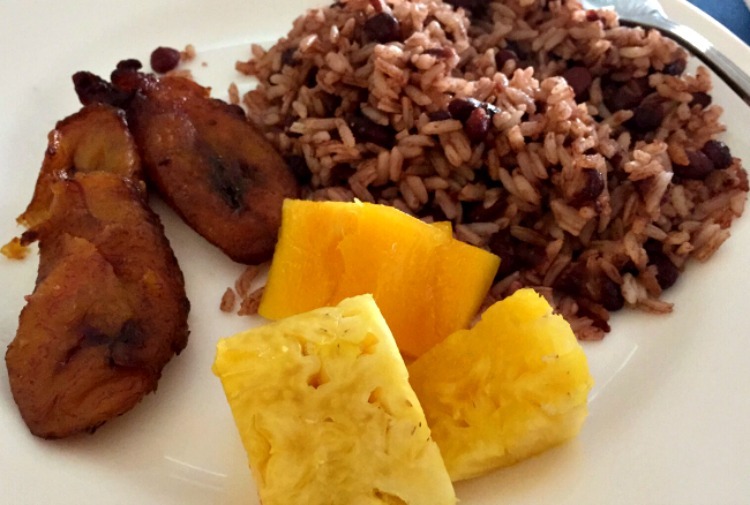 Breakfast at Hotel Seminole in Managua: fruit, plantains and gallo pinto. Although a large percentage of the country subsists on only $2 a day, the Nicaraguan people are smiling. I believe they can feel bigger changes coming with the impending rise in tourism. Everyday life on the road headed towards Rivas. Their Costa Rican neighbors to the South have been benefitting handsomely from the tourism industry for a couple of decades. Nicaragua knows that her turn is coming. It may already be here. I was surprised that my Delta flight was full to capacity. 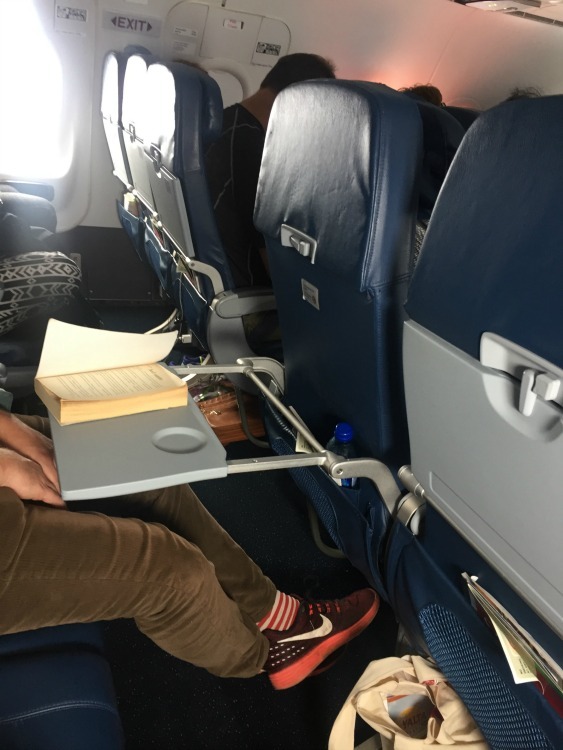 There were all categories of travelers on the flight from the businessman to my right, to the travel agent on my left, to the expats in front, to the rows of social tourists, religious groups, missionaries, yogis, surfers, backpackers, and luxury travelers sprinkled throughout the cabin. 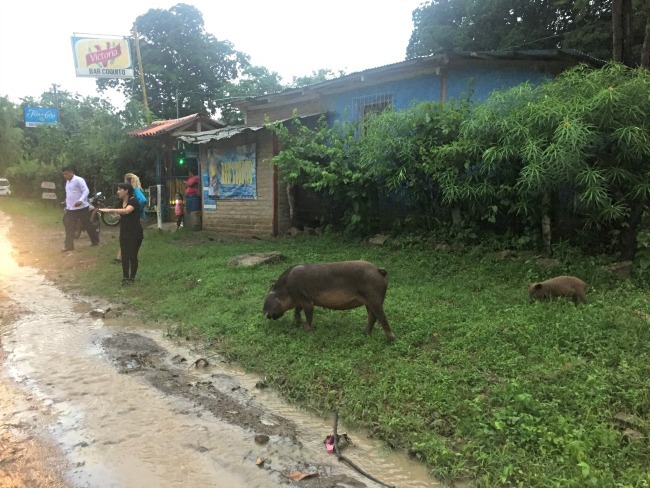 It spoke to the diversity of experiences you can have in Nicaragua. 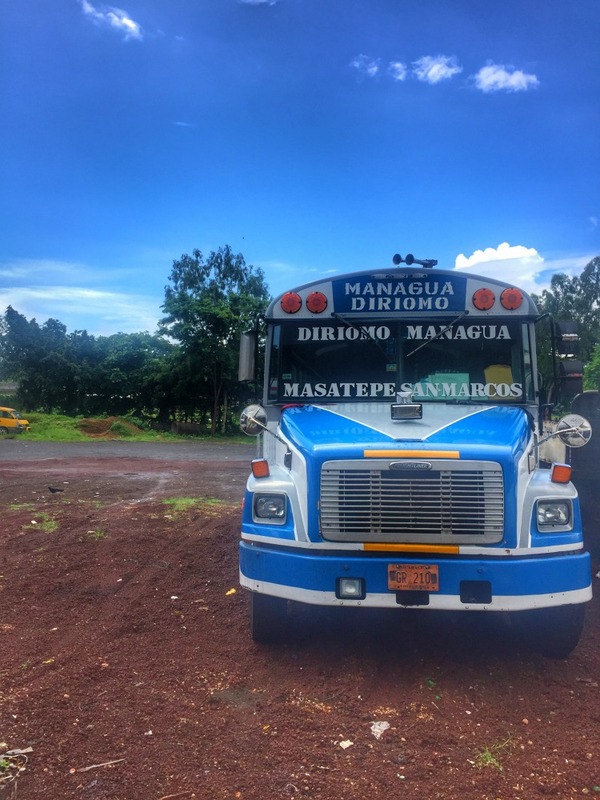 One of many colorful chicken buses in Nicaragua that transports locals from town to town. Deep sea fishing … check! 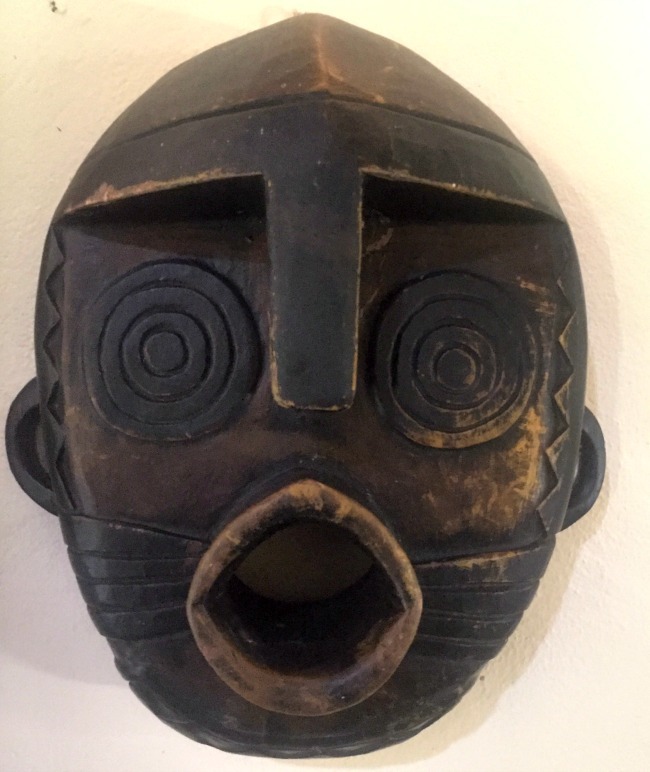 History and culture tours …. check! You want to party or gamble? Spend a few nights in crowded congested Managua. You want colonial history? Take a trip to Granada or León. 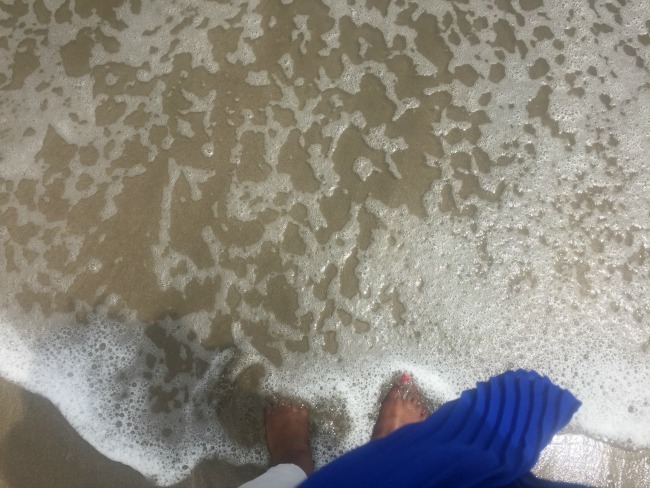 Luxury experiences or surfing? 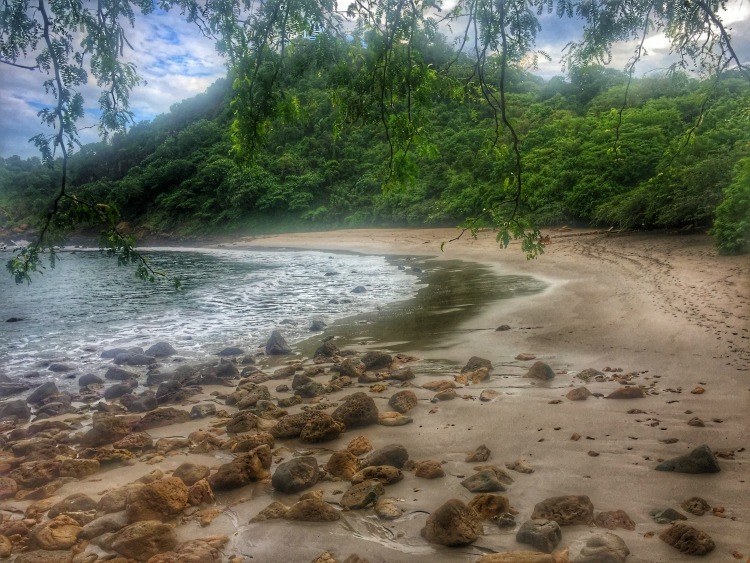 Visit San Juan del Sur and the Esmeralda Coast. Solitude? We found it on the Solentiname Islands. The North part of the country promises to offer immersion and social tourism. And the Miskitu Indians, indigenous and Nicaraguans of African decent can be found on the Caribbean side in places like Corn Island and Bluefields. Take your pick. Nicaragua has it to offer. 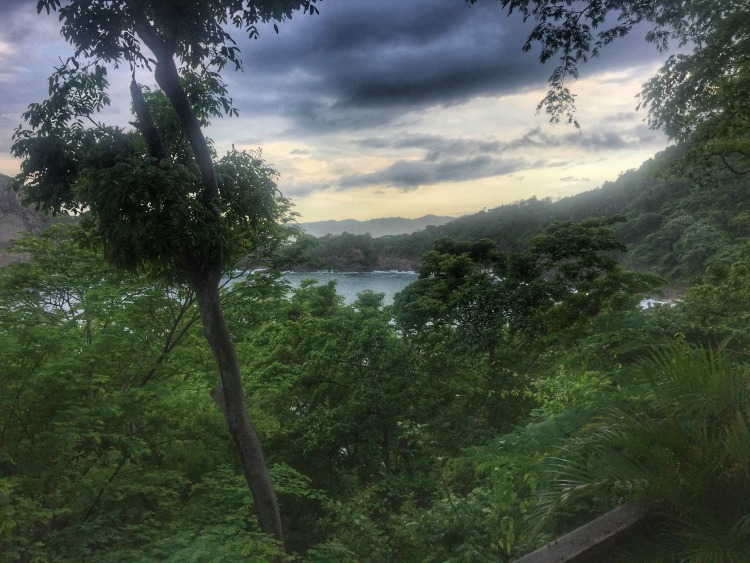 The ocean view from my treehouse accommodations at Aqua Wellness Resort. My thoughts are that you can’t really know a country or its people from just one visit unless it’s a lonnnng one, months on end. Two times visiting to Nicaragua and I still know very little about it. 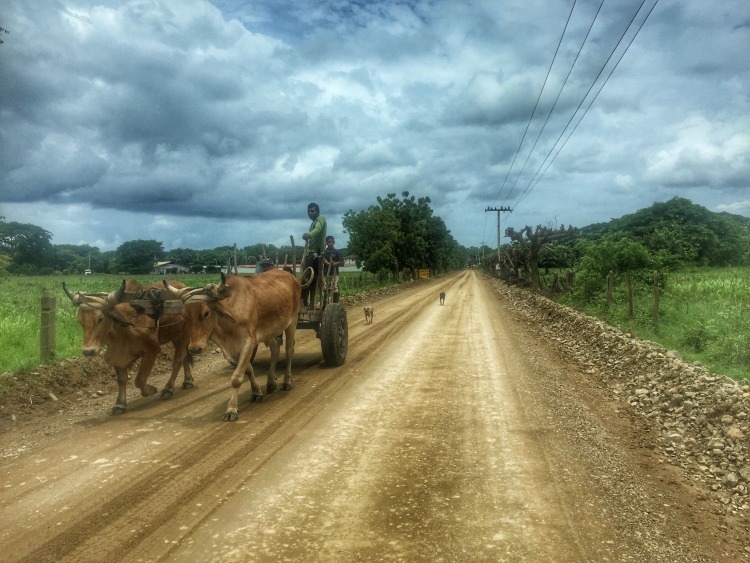 Here’s what I do know about travel to Nicaragua: Go before its overrun with American tourists. 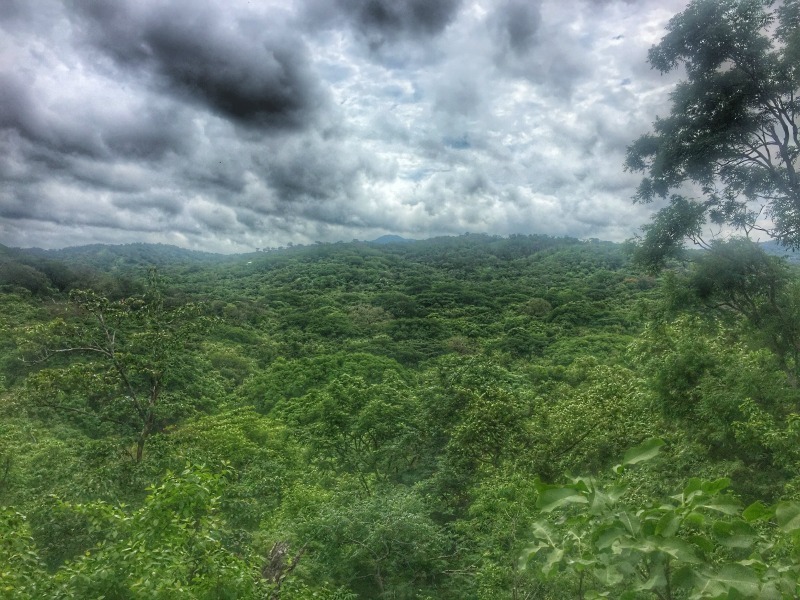 Nicaragua during the rainy season: overcast but lush. The best time to go seems to be subjective. When I asked several people this question I got several different answers. One person said October, another said November, yet another said now (June). What’s clear is that Nicaragua has 2 seasons: rainy and dry. During rainy season the prices tend to be lower. When is rainy season in Nicaragua? I was told that rainy season runs from May through November while the dry season runs from December through April. If you travel during rainy season to the more remote parts of the country, be prepared. 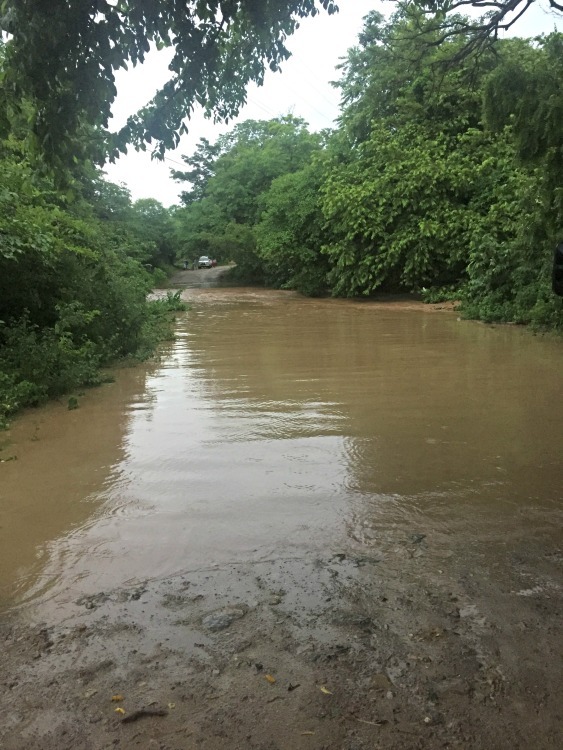 We were in San Juan del Sur on our way to Solost, a small eco resort on the Esmeralda Coast, when we came upon a road that was washed out. The road to our resort. 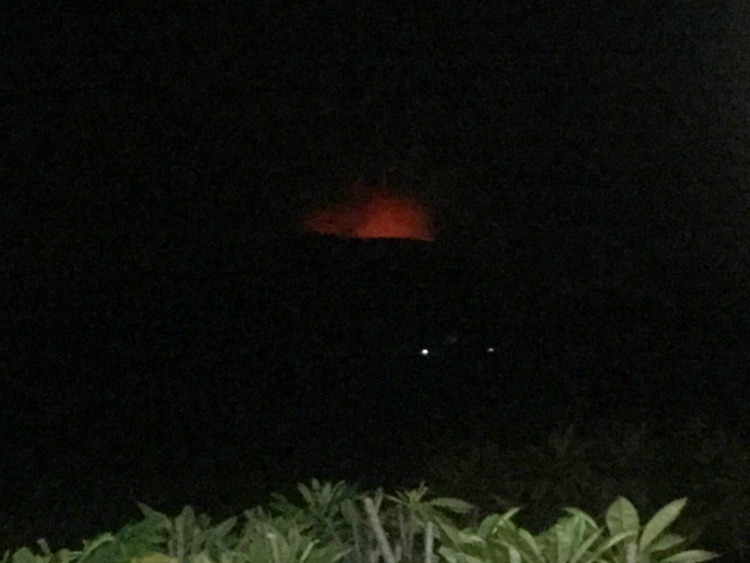 Well…what WAS the road to the resort. Heavy rains from a tropical system pounded the coast for a few hours. By the time we reached the unpaved roads along the way, the land from the hills were oversaturated and flooded lower areas. As luck would have it, that was the only way to our resort. So we had to make other plans. Our local operator made quick arrangements to find us a new place to sleep. Travel Tip: Work with someone who has local contacts or who has personally experienced the country to best advise you. Ready to go? Set an appointment with me and we’ll design an experience that’s perfect for your travel style. What airlines fly to Nicaragua from the United States? Delta, American, United and Spirit Airlines. As far as airlines go, choose the carrier who offers you the best flight. This doesn’t necessarily mean choosing the lowest price. Think about what time you’ll arrive in Managua. Think about comfort. Think about reputation. Think about reliability. You’re not being a savvy traveler when you only think about your wallet. If you arrive during rush hour, be prepared for dense annoying traffic. It can mean a difference between arriving at your hotel in thirty minutes or arriving in ninety. Yes! 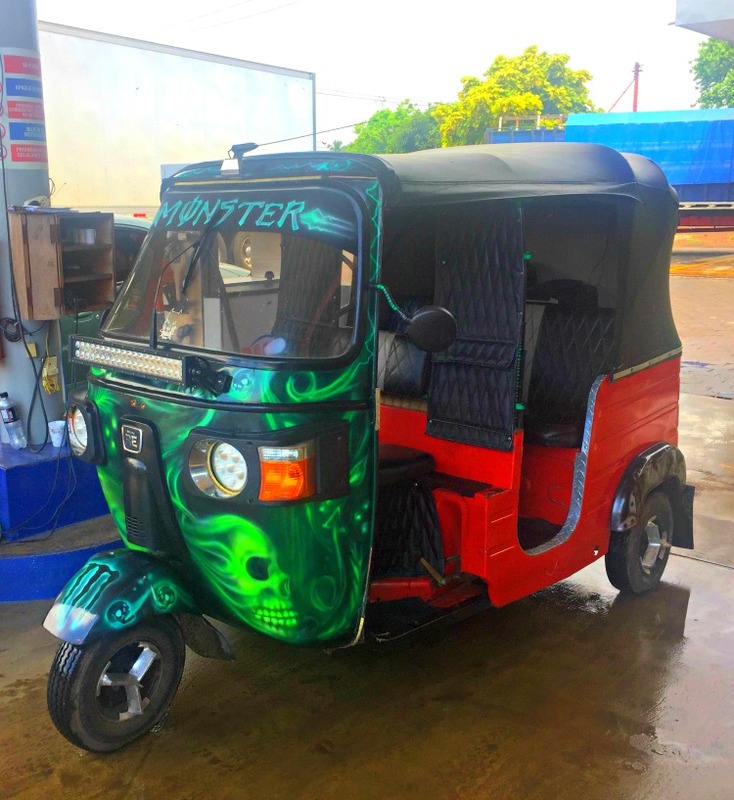 A tuk tuk in Nicaragua. Random but a convenient mode of transportation within a town. Call it Nicaraguan Uber. I got in at 8:00pm Nicaragua time (10 pm EST), whizzing through both the streets of Managua and immigration. Speaking of immigration, it’s an easy experience. Nothing to freak out about as I know some people do. 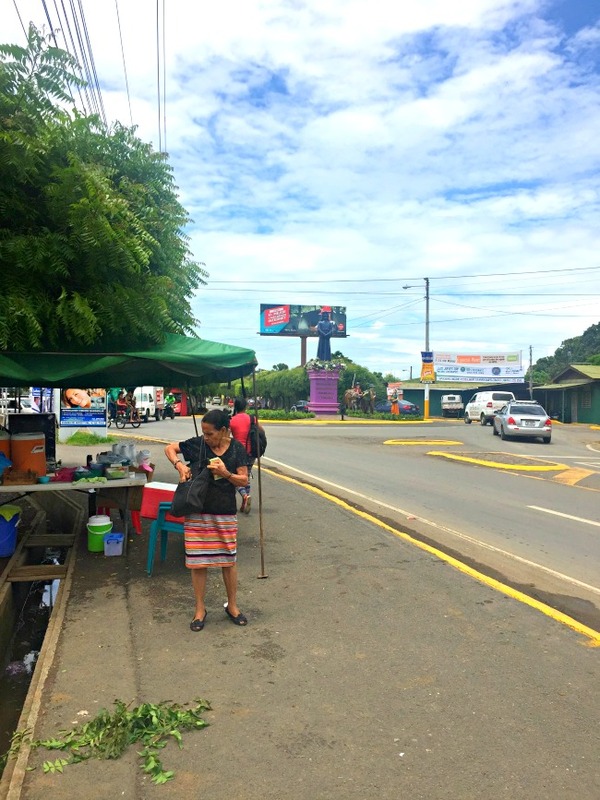 Do the people speak English in Nicaragua? My agent spoke perfect English. He requested the $10 entry fee, paid me back in US dollars, and stamped my passport after a quick picture and zero fuss. That’s a lot less than I can say for some of the snotty agents I’ve experienced in London Heathrow. The airport is small so don’t worry about walking half a mile to retrieve your luggage. As soon as you pass through immigration, baggage claim will be right in front of you. Although Nicaragua and Costa Rica are close neighbors, they are very different. I could write an entire blog post about their unique attributes. Pigs roam freely along the side of the roads. People comment that Nicaragua is what Costa Rica was 20 years ago, hence why you should go now. For one, Nicaragua is less expensive than Costa Rica. I’ve heard from other Central and South America travelers that Costa Rica has the most expensive meal prices in all of Central America. 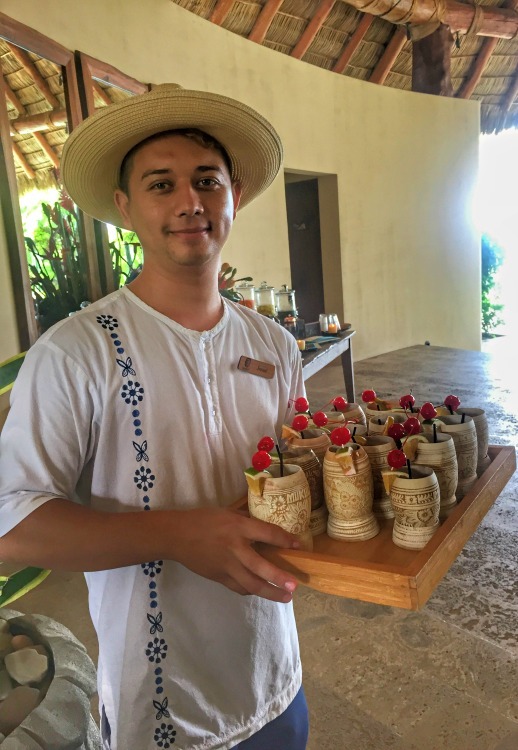 From what I saw, a meal in a side-of-the-road restaurant in Costa Rica was the same price as a meal in Mukul, a luxury resort on Nicaragua’s Pacific Coast. A friendly server at Mukul resort. The people in Nicaragua and Costa Rica are also different in their culture. 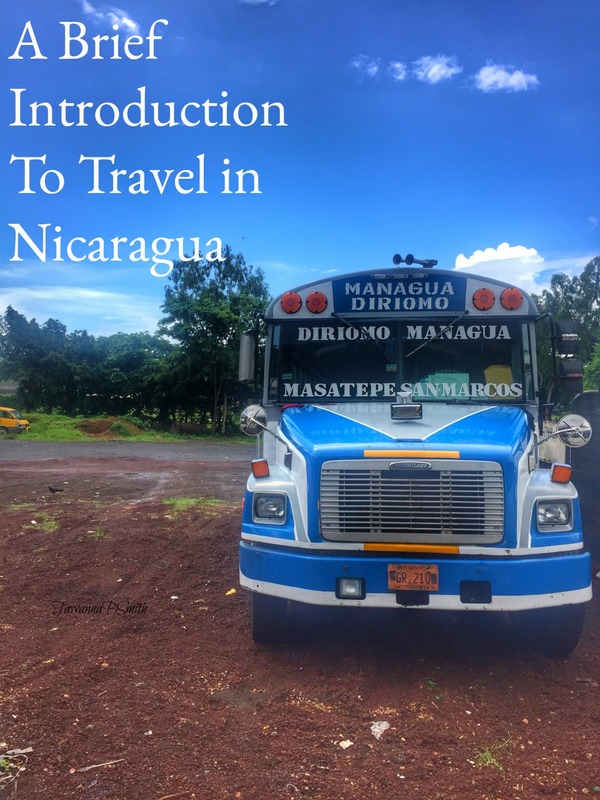 I found friendly people in both countries but Nicaraguans seemed even more welcoming. This is strictly my opinion but I think it’s because they’re not overrun with tourists yet. Visitors are still very exciting for them. As far as topography, they both have amazing vistas, volcanoes, lakes, rainforests, adventure travel, etc. etc but there’s a rawness about Nicaragua that makes it more exciting. It’s that feeling that everybody and their mama haven’t been here just yet that makes it more intriguing. That undeveloped rugged feel that makes you feel like you were the first person to travel here that brings a rush that Costa Rica can’t deliver anymore. It’s that same feeling I felt in Belize, 10 years ago and Cyprus 5 years before that. There seems to be fewer and fewer places who can deliver that. But Nicaragua still has it. If you want to know what that feels like, now’s the time to go before it’s gone. 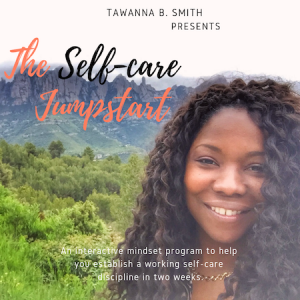 I am Sam from MovingBabies.com – we are a top resource for people looking for various influencers (mom, dad, parenting, & other!). 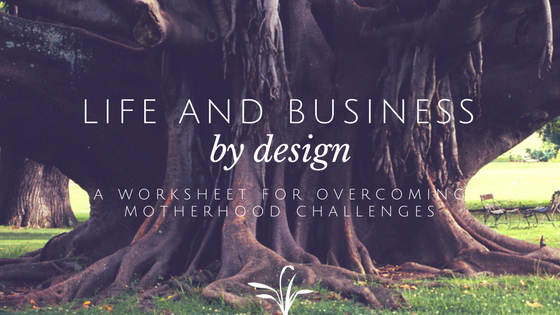 I would love to get you some free exposure for momsguidetotravel.com. We are an established influencer community for various bloggers, sites & PR companies and we would love to list your site. It is a place to showcase your site and get noticed by PR companies and brands looking for collaboration opportunities. You will get more exposure, event invites and requests to review amazing products. 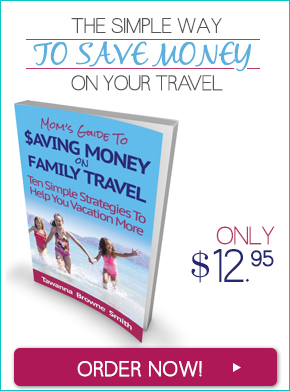 We would love you to join our established influencer community and would love to list momsguidetotravel.com. It is a place to showcase your blog and get noticed by PR companies and brands looking for collaboration opportunities.